Vail Christian's spring musical "Freaky Friday" features a large ensemble cast. It runs Thursday through Saturday in Vail Christian's Grace Auditorium. EDWARDS — What a difference a day makes. 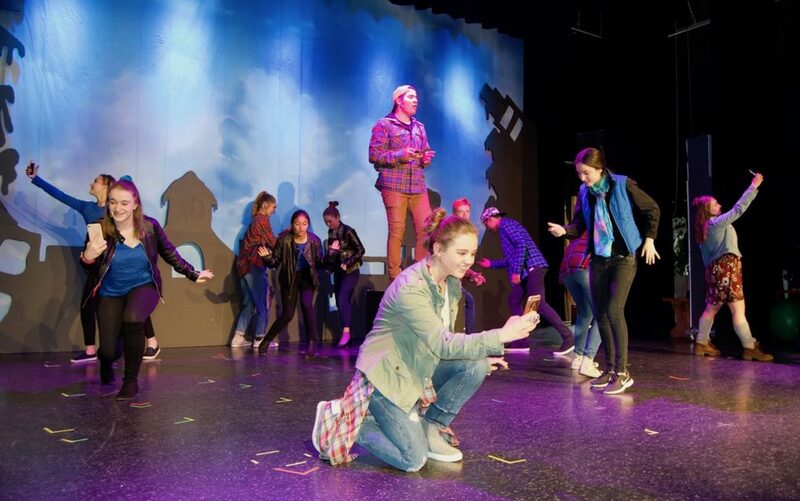 Vail Christian High School’s spring musical, “Freaky Friday,” is a delightful, heartwarming musical trip through attitude changes and paradigm shifts. It runs Thursday through Saturday at VCHS in Edwards. The spring musical production highlights Vail Christian’s large ensemble cast as they roll through roughly 24 hours of walking (and singing and dancing) in someone else’s shoes. Megan Collom is student director, Katie Keith is student artistic director and Talia Tyler is student choreographer. Melinda Carlson heads Vail Christian’s theater department. “This is more of an ensemble cast. We wanted to highlight everyone,” Carlson said. With heartfelt themes including acceptance of others, empathy and personal growth, “Freaky Friday” is both classic and contemporary. The musical “Freaky Friday” is based on the book by Bridget Carpenter featuring music by Tom Kitt and Brian Yorkey. You may remember the movie starring Jamie Lee Curtis and Lindsay Lohan, but likely not this cast’s frame of reference. Besides the book, “Freaky Friday” has been two movies, a musical, a Broadway production and now a school-based musical. About that music: It ranges from foot-stompers and high energy numbers to heartfelt musical reflections. There’s “Go,” a number teaching the lesson that you don’t have to stay where you are. 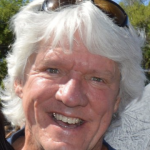 “You can improve and move forward,” Carlson said. Then there’s a hysterical song that describes an 18-year-old boy’s perspective on women. Roy Valensula is Adam, a high school heartthrob who is animated and energetic as he sings what most of us already know about men and women. “We are saturated with talented students in this valley, so finding a musical that everyone has not seen or done can be a trick,” Carlson said. “Freaky Friday” spans about a day, from one morning to the next, the morning before a wedding rehearsal to the morning of the wedding. Katherine, an overwhelmed mother played by Mari Engleby, and her teenage daughter Ellie, VCHS junior Cate Maslan, magically swap bodies. They have just one day to put things right before the mom’s wedding to Mike, played by Sam Jaffe. Numerous dynamic characters help the mother/daughter duo to come to appreciate one another’s struggles. Valensula, the high school heart throb, is Ellie’s crush. Katie Keith plays Savannah, the prettiest, smartest and sassiest girl in school. Megan Collom is the high-strung, perfectionist Torrey.